Terry Olson, Williston Rotarion, introducing the 2018 Miss North Dakota, his daughter Katie Olson. 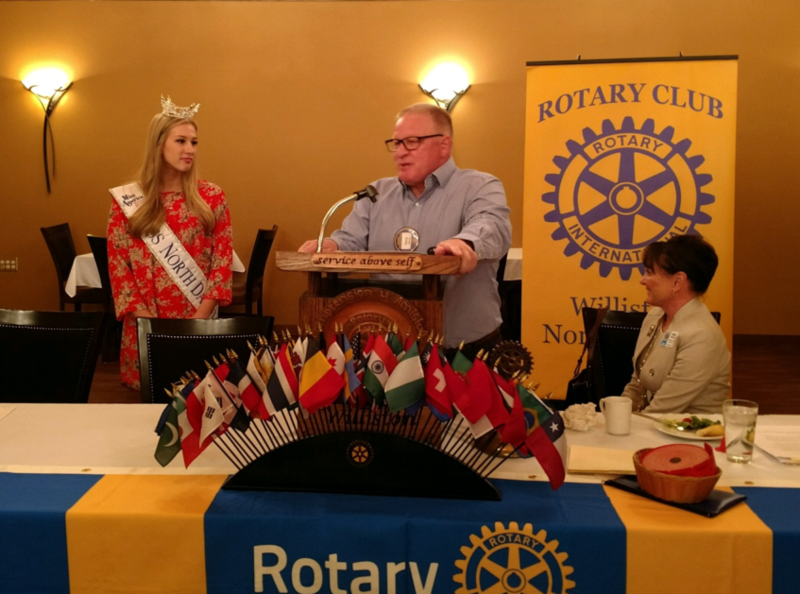 It has been tradition for many years now to have the incoming Miss North Dakota attend our weekly Rotary meeting and present her with an honorary membership to our club. This was her first public speech after Miss North Dakota Pageant. Katie Olson is from Williston, ND and is attending NDSU to study elementary education. Her platform is "The Motivation Mindset: Positivity at Every Turn." 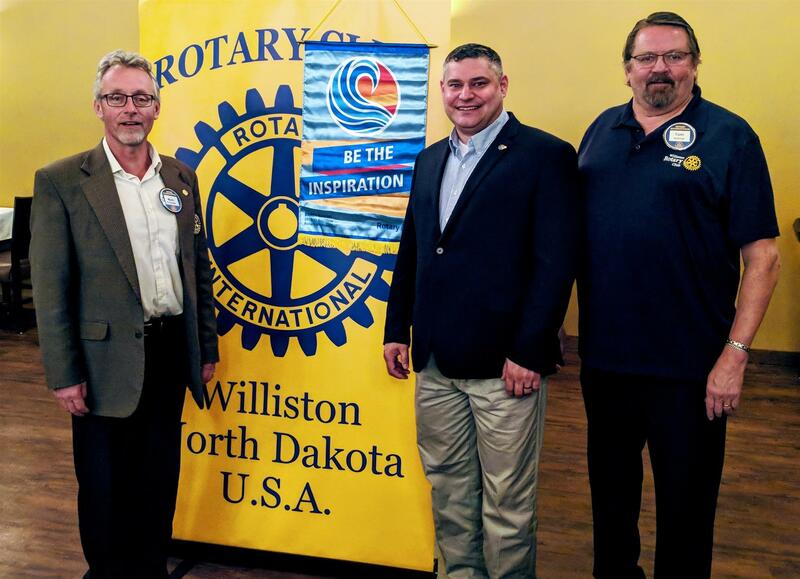 The Williston Rotary Club is once again preparing for our annual “Rotary Rose Sale”, which is a fundraiser that celebrates the hard work that Administrative Professionals put in throughout the year. It is intended for anyone who helps make the work you do a success. We hope you will choose to be a part of our 6th annual event and recognize the efforts of your staff. 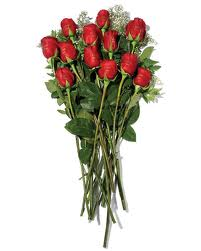 Through our partnership with Country Floral, roses are sold by Rotarians, bundled per dozen and available wrapped for $30 or in a vase for $35. A Monster Cookie Bundle is also available for $30. Schedule a free pick-up or a $5 delivery on Administrative Professionals’ Day for your convenience. Roses and cookie bundles will be available for pickup or delivery to recipients Wednesday, April 25th, 2018 from 8:00am to 2:00pm.